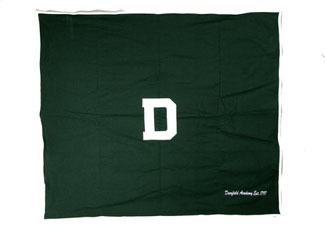 Color-fast stadium blanket from Varsity Athletics. Cut from 24 oz. virgin melton wool with a double-stitched border of the same wool. 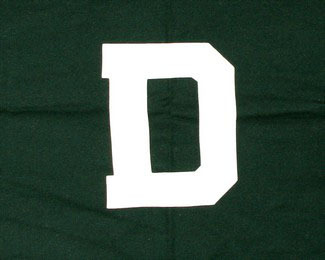 Hunter green body with white border. 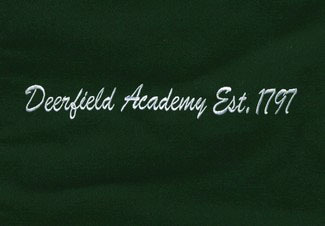 White wool felt letter D in the middle of the blanket and "Deerfield Academy established 1797" embroidered in a white script on the lower left. 60" x 72". Includes a tear resistant, heavy-duty, reusable carrying case. A classic gift of distinction.